A new Kiwi designed water filtration system which can eliminate wastewater could save New Zealand wineries thousands of dollars annually, has significant export potential for international wine producers and is already being championed by the local dairy industry. 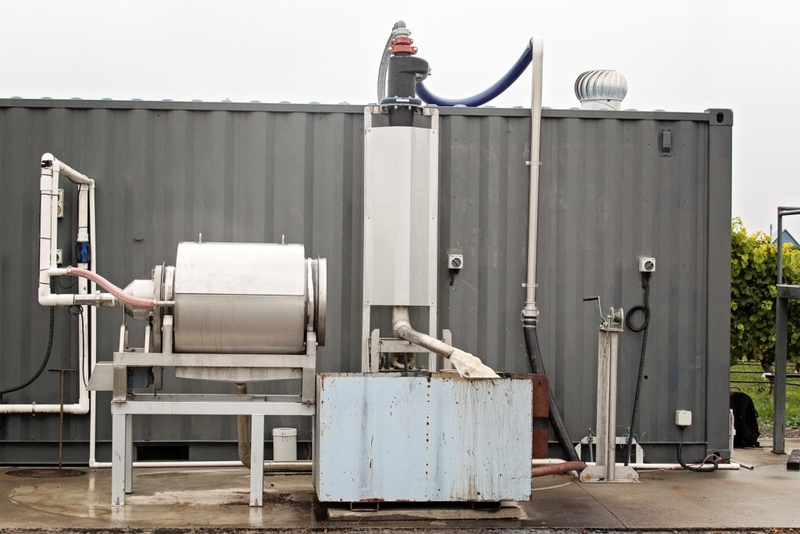 The new waste management process created by Scott Biotechnologies and Allan Scott winemaker Matt Elrick, is designed to rapidly filter the winery’s waste fluids allowing the clean, odourless by product to be reused as irrigation for the vines. Elrick says the new prototype was created to deal with the Allan Scott winery’s wastewater after growing frustration with traditional wastewater disposal methods, which were expensive, created ponding and associated issues. He says wineries throughout New Zealand have already tried and failed to come up with a better system for dealing with waste-water at peak times, but many simply revert back to the simple septic tank system. “With a traditional tank system wastewater settles in a tank, overflows into the next tank, settles there then overflows into the next tank. This means at harvest there often isn’t enough settling time so solids and nutrients tend to jump through the systems faster than the system needs to allow it to be treated, that means you end up with a pretty bad smell,” he says. The new system which Elrick helped design, means wastewater will now be pumped through a spin separator which uses a cannon to create a centrifugal force and allow clean water to be ejected out of the top and sludge to be forced out of the bottom. “The clear water goes direct to a discharge tank where it is further filtered and discharged via drip irrigation line onto the vineyard. The remaining sludge waste solids goes through a series of chambers where it can be easily scattered around the vineyard to release its nutrients,” he says. Elrick believes the technology has significant potential for both wineries and other industries which produce wastewater – including the growing dairy industry. It is capable of rapidly processing the waste product from winery’s entire harvest without any delay or loss of production efficiency. “Excess waste production is a huge issues for New Zealand’s horticultural and agricultural industries. In addition to making us more environmentally friendly, this cost reduction technology will also make us more competitive internationally.” says Elrick. “Essentially we are using our winery wash-downs to create a reusable resource, which is reducing the amount of water drawn from the bore to irrigate our vineyard,” he says. The introduction of the wastewater system is the latest in a series of environmental sustainability initiatives introduced by the winery designed to reduce their carbon footprint. These eco-friendly strategies include recycling of cardboard and plastics as well as crushing grass for use in pathways and drives. Put the Sparkle in Your Valentine’s Day with Allan Scott Les Joues Rouges Celebrate In Sophisticated Style This Mother’s Day – with Allan Scott!